100% pure fine quality silk made in kashmir with digital prints in modern,paissly,animal and floral prints in bright and vabraint colors which catches eyes of every client.available size in standard size 70x200 cms and can be made in many many more designs and in customized sizes. We have huge varities of pure silk reversible stoles and scarves in best quality spun silk yarn in both plain weave quality and twill weave quality. 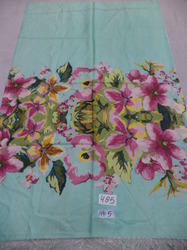 We products following size in our fine quality pure silk stoles,scarves. Silk Shawl with modern digital animal print size 70x200 cms. 100%Fine quality silk with digital print shawls size 70x200 cms. Available in assorted designs and colours. Traditional designs, mordern designs, floral designs and animal printed designs are available. We are the leading supplier of Digital Print Silk Scarves made available to our clients at competitive prices. 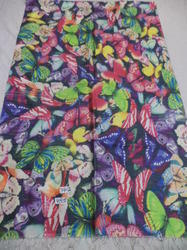 We are the leading supplier of Pure Silk Digital Printed Scarves made available to our clients at competitive prices. 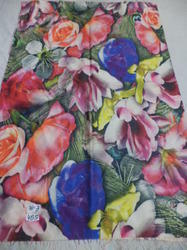 100% Fine quality silk with digital print scarves size 70x200 cms. Available in assorted designs and colours. Traditional designs, mordern designs, floral designs and animal printed designs are available . 100% pure silk abstract digital printed stoles/scarves and shawls. We are the leading supplier of Pure Silk Digital Printed Floral Border Shawl made available to our clients at competitive prices. 100% pure silk digital printed shawl,pure silk printed shawl,modern printed shawl,Animal printed shawl size 70x200 cms. 100% Fine quality silk with digital print shawls size 70x200 cms. Available in assorted designs and colours.Traditional designs, mordern designs, floral designs and animal printed designs are available. 100% pure silk with digital printed tiger shawls/stoles/scarves. Detailed Description: 100% Fine quality silk with digital print scarf size 70x200 cms. Available in assorted designs and colours. Traditional designs, modern designs, floral designs and animal printed designs are available. Listing Description: 100% pure silk digital printed shawl,pure silk printed shawl,modern printed shawl,Animal printed shawl size 70x200 cms. Detailed Description: 100% Fine quality silk with digital print scarf size 70x200 cms. Available in assorted designs and colours. Traditional designs, mordern designs, floral designs and animal printed designs are available. 100% silk with modern digital printed stoles.Available stock in assorted designs and colours. 100% pure silk fine quality Animal printed shawls,stoles,scarves Size 70x200 cms .Available in all Animal prints like,zebra,Tiger,Leopard and Snake prints. customized designs will be possible as per buyers requirment. we offer you beautiful multi floral digital printed border silk shawls in assorted colours and designs in 70x200 cms.Available in assorted designs and colors all the time. customized designs and colours can also be possible on order basis. 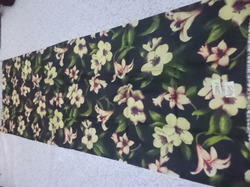 100% pure silk digital printed stole,pure silk printed stole,modern printed stole,Animal printed stole size 70x200 cms. 100% Fine quality silk with digital print scarves size 70x200 cms. Available in assorted designs and colours. Traditional designs, mordern designs, floral designs and animal printed designs are available.